Commercial buildings in Canada will likely soon have healthier workforces, thanks to a strategic partnership between BOMA Canada’s BOMA Best certification program and the new Fitwel health-promoting building certification. Launched in February by the U.S.-based Center for Active Design, the Fitwel certification measures a number of evidence-based criteria in buildings to rate their effectiveness in promoting health. The Fitwel certification “should lead to healthier buildings and better health for the occupants,” says John Smiciklas, director, energy and environment at BOMA Canada. The partnership with Fitwel came as a result of demand from BOMA members. “It’s the BOMA members who have BOMA-certified properties that came to us and said ‘you should do this,’ ” he says. Smiciklas, who oversees BOMA BEST program management, notes there is “little or no overlap” between the two certification programs, both of which are cost-effective, have high impacts and are run by non-profits. BOMA BEST was launched in 2005 by Building Owners and Managers Association (BOMA) Canada to address an industry need for realistic standards for energy and environmental performance of buildings. The program is Canada’s largest environmental assessment and certification program for existing buildings, with more than 2,500 buildings certified in Canada. BOMA Canada is also looking at providing the Center for Active Design support to review, audit and verify applications for Fitwel certification. Help BOMA BEST expand in U.S. The partnership will also help facilitate BOMA BEST’s expansion in the United States, he says. BOMA BEST had its first U.S. certifications late last year involving 16 properties in California and New Jersey. Applications have since been filed from Missouri and Texas. Fitwel aims to help prevent chronic disease by increasing physical activity, providing healthy food options, reducing morbidity and absenteeism. 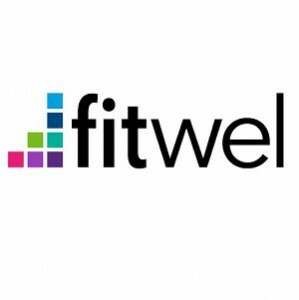 The Fitwel certification system was created by the U.S. Centers for Disease Control and Prevention (CDC), the General Services Administration (GSA) and experts in public health and design over a five-year process. GSA led a pilot test of the certification on 89 buildings randomly selected from its portfolio of buildings. According to Center for Active Design president and CEO Joanna Frank, more than 90 projects have been submitted for certification since Fitwel’s launch and there are more than 600 planned projects through 2018. Fitwel employs a user-friendly, web-based scorecard to score and certify how buildings promote health. “They’re meant to be (completed) by the people who run the building, with a minimum involvement of outside consulting firms,” Smiciklas says. A number of criteria are examined – from accessibility to walkable neighborhoods and public transit to the availability of healthy food and beverages onsite and the design and visibility of stairwells. A Fitwel rating of one, two or three stars may be obtained once the building is submitted for certification. The Center for Active Design believes Fitwel certified buildings may result in a number of improvements in employee wellness including lower health care costs, lower rates of absenteeism and increased revenue from enhanced employee performance. Smiciklas says BOMA Canada has already received inquiries from members with portfolios of office buildings who would like to apply for Fitwel certification. The Fitwel certification costs about US$6,000 (Cdn$7,942). Smiciklas says.